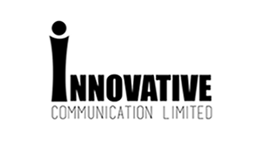 Innovative Communication Limited is in the business of social and behavior change communication with specialization in designing and implementing result-oriented communication intervention s including print, audio, audio-visual, outdoor and digital materials as well as community media. The organization brings together a group of professionals with specific skills, knowledge, creativity and dynamism to craft ideas and transform these into innovative solutions through communications to address social and developmental issues. Innovative Communication Limited has evolved as a sister concern of Bangladesh Center for Communication Programs (BCCP) – a successor to the Johns Hopkins Bloomberg School of Public Health. Center for Communication Programs (JHU/CCP), Baltimore, USA. The organization enjoys the benefit of experiences, expertise and skills that BCCP has acquired from JHU/CCP in over two decades. We envision an empowered society having right information at the right time to improvise their daily and future lives. We are committed to deliver result-based communication interventions that carry appeal. Are attractive and action-oriented and that will bring difference in the lives of the audience and the community. Good Communication blends both science and art. The science of communication explores the current situation, neeeds and available resources that are fed into designing the strategy. The strategy then transforms into art effective communication interventions through creative solutions that evoke emotion and appeal to motivate intended audience to act appropriately. Conduct impact research for any communication intervention.